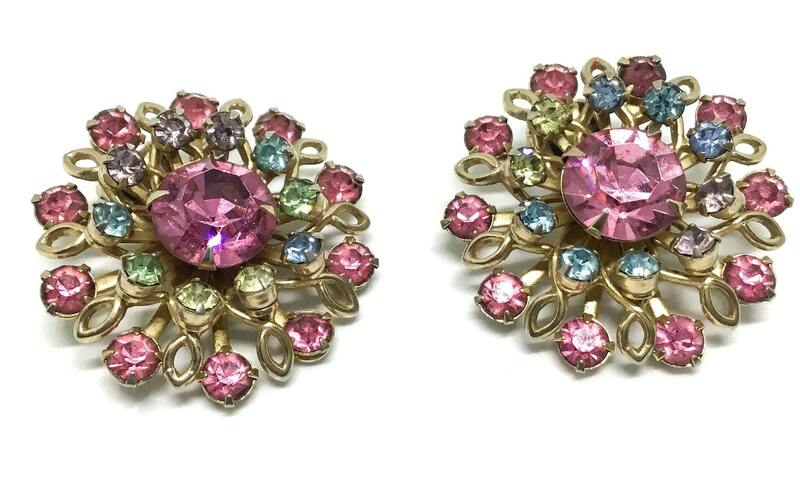 This is an awesome pair of goldtone vintage rhinestone flower clip earrings. 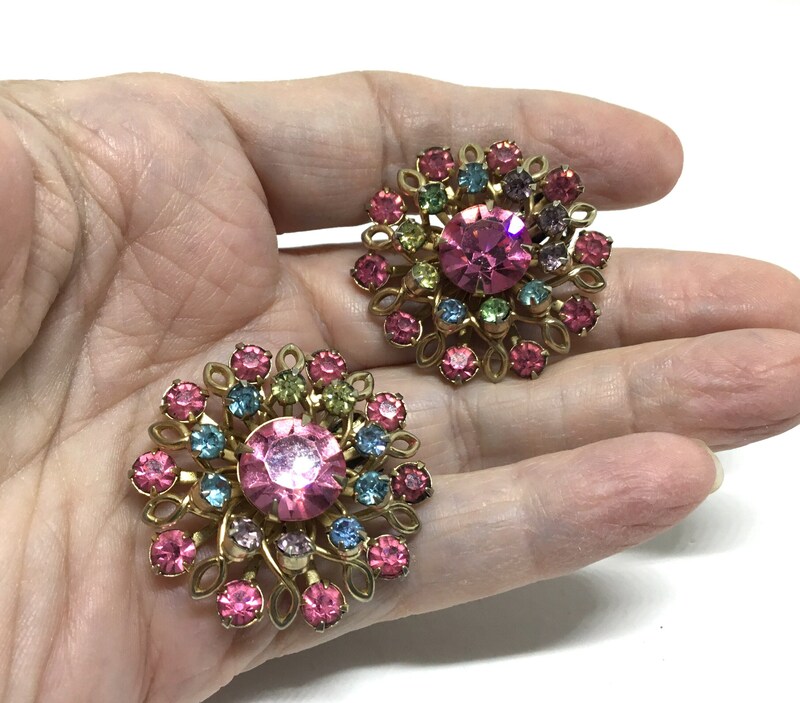 The openwork floral design is two layers of sparkly faceted and prong set rhinestones. 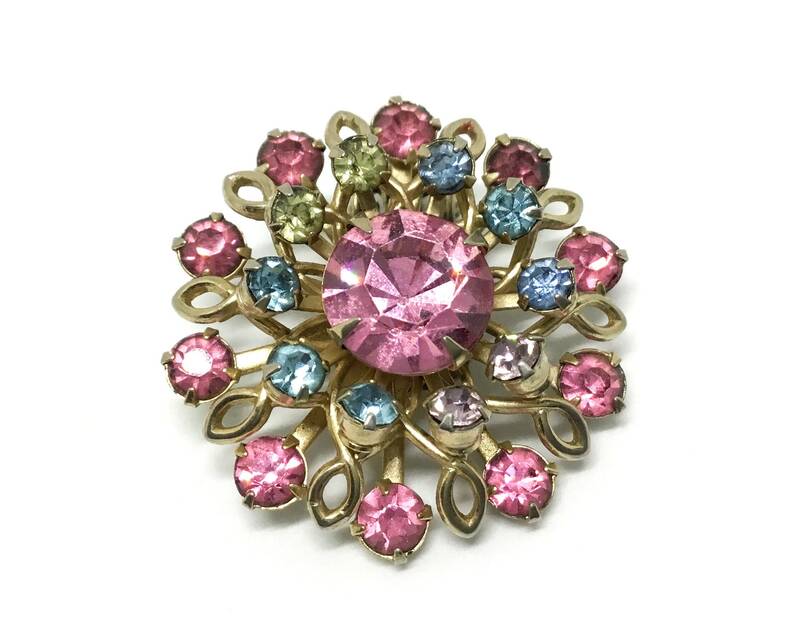 The center is a large pink rhinestone with small pastel blue, green, purple, and yellow rhinestones encircling it. 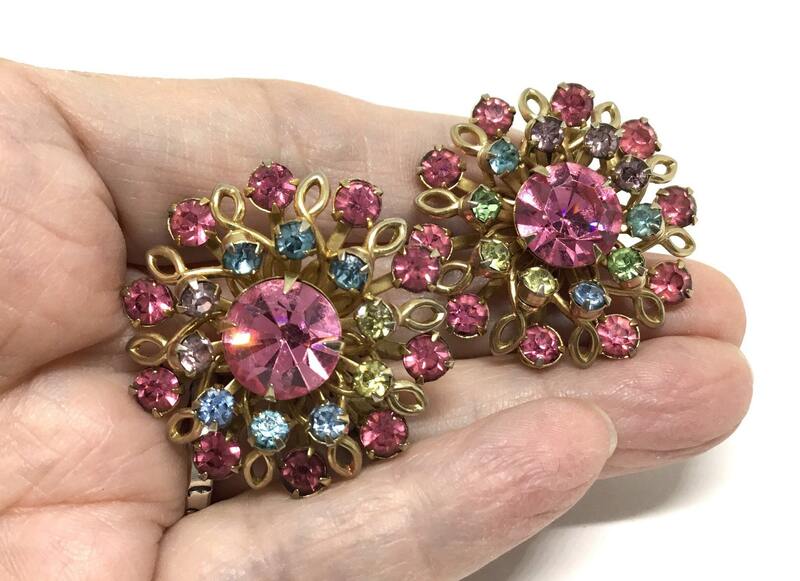 The outside bottom layer is alternating pink rhinestones and open goldtone loops. 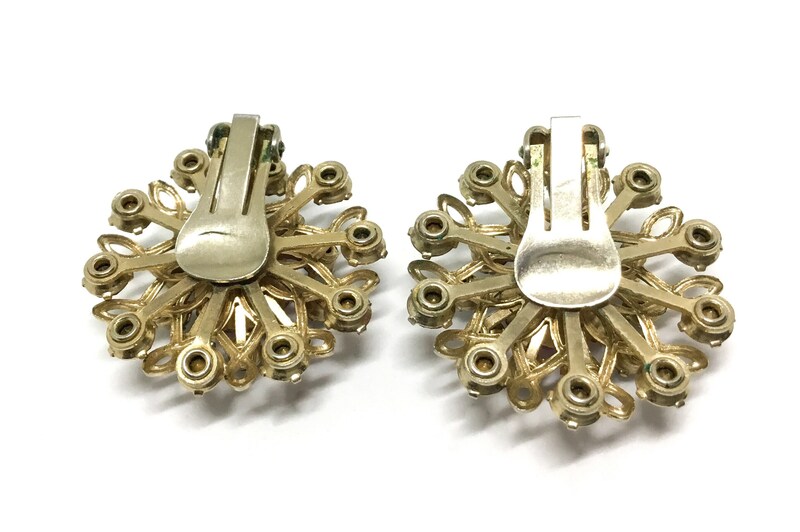 The clips are tight and work well. They measure 1 3/8” in diameter. There is some light wear on the back. 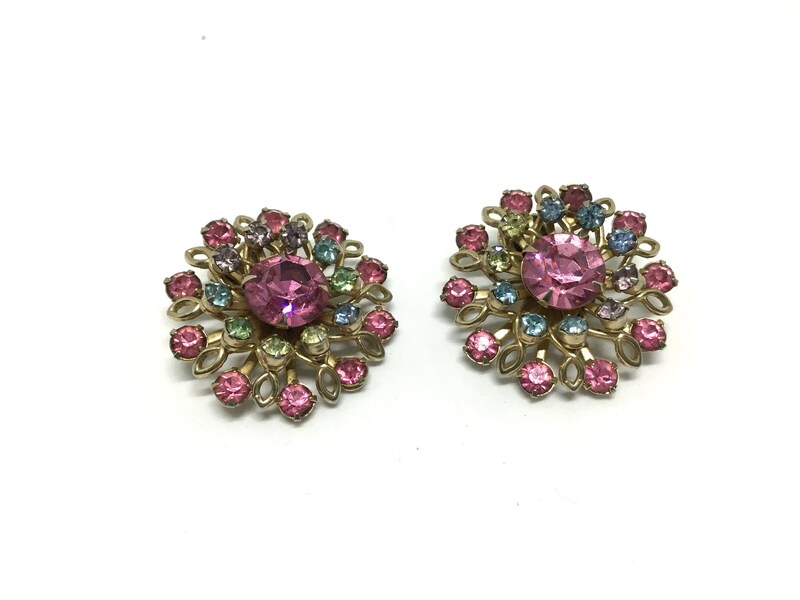 You will look radiant in these large predominantly pink flower earrings. 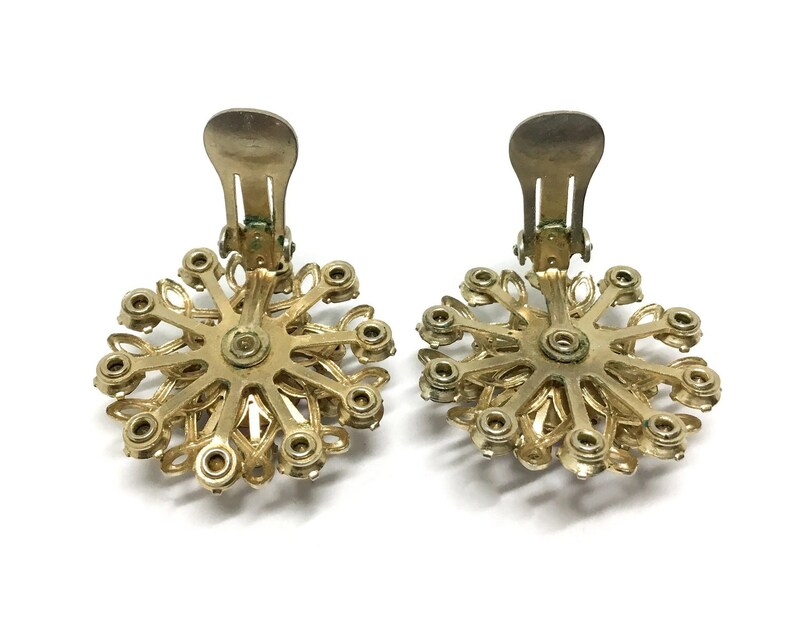 A great spring and summer accent for your ears. 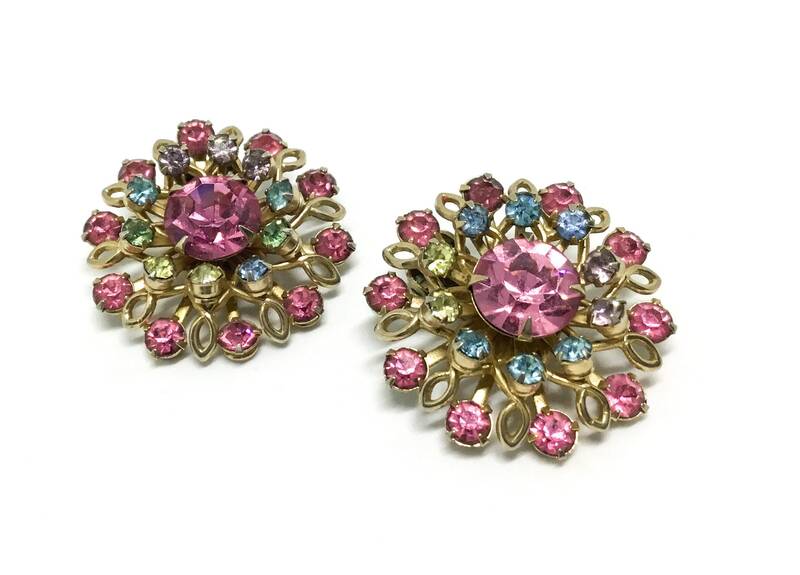 You definitely will look enchanting in these floral sparklers!